When I say basic - I mean basic! This recipe is quick and easy. Great step to make ahead of time for your quiches or meat pies. 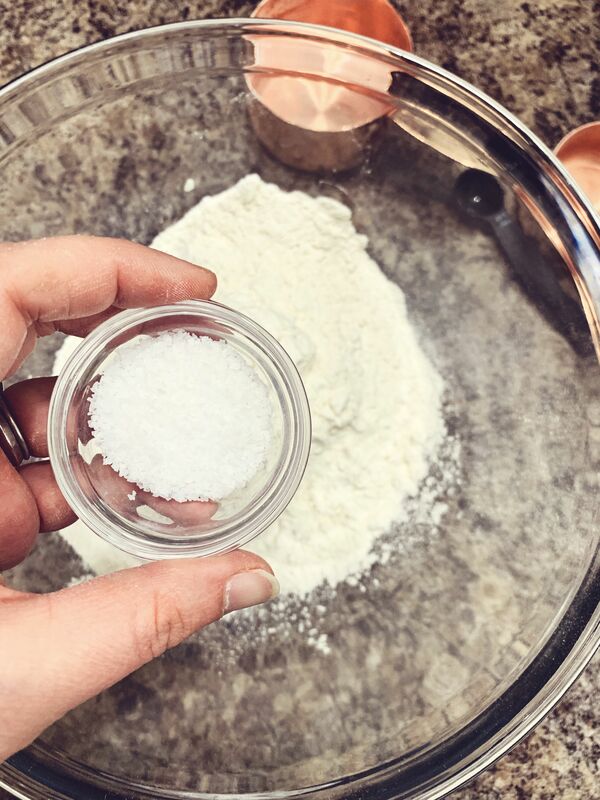 And it only takes 4 ingredients! 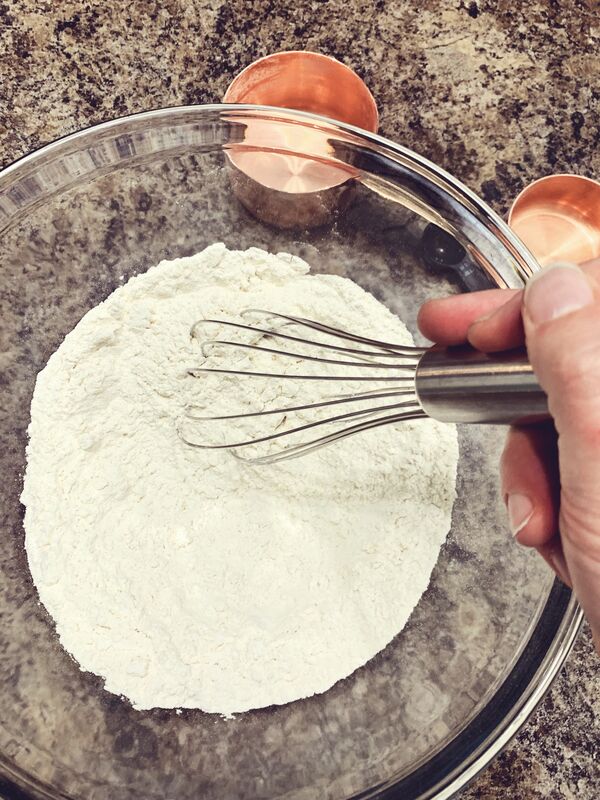 Step 1: Add you flour and salt into a large bowl and whisk together. 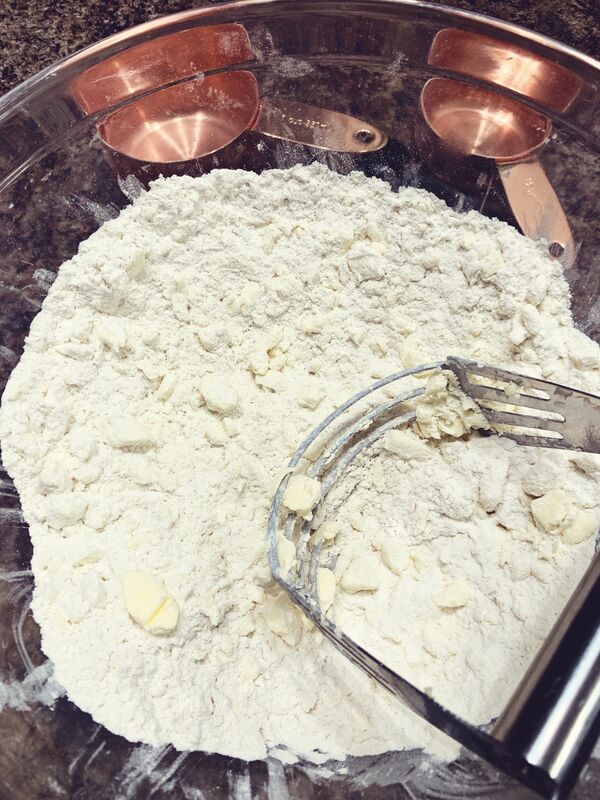 Step 2: Cube your cold salted butter and pop them into the bowl over your dry mixture. 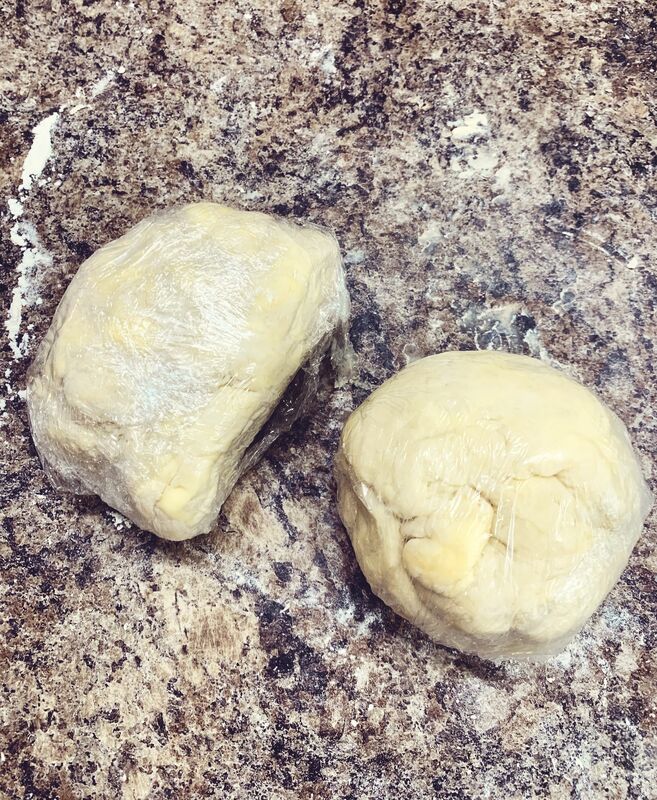 Use a pastry blender to break up the butter into pea sized pieces. 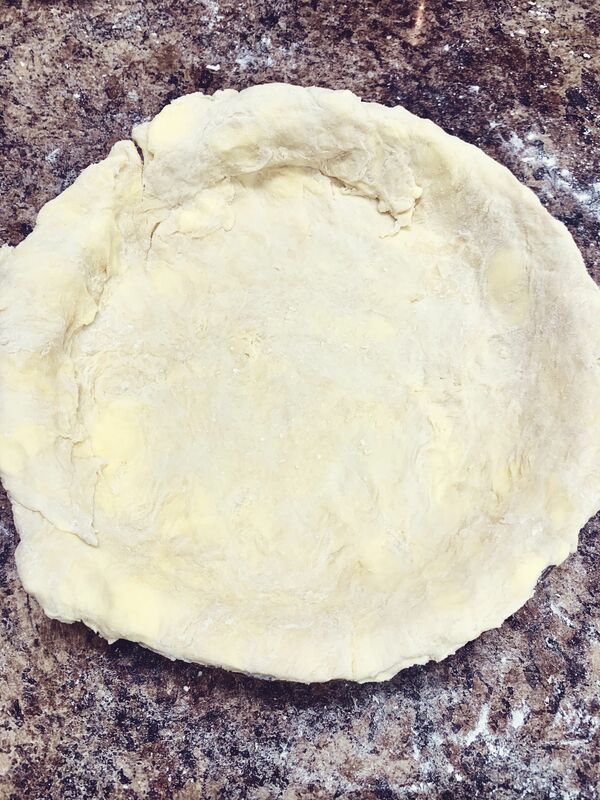 Step 6: Roll it out on a lightly floured surface until it fits over the pie plate you are using. 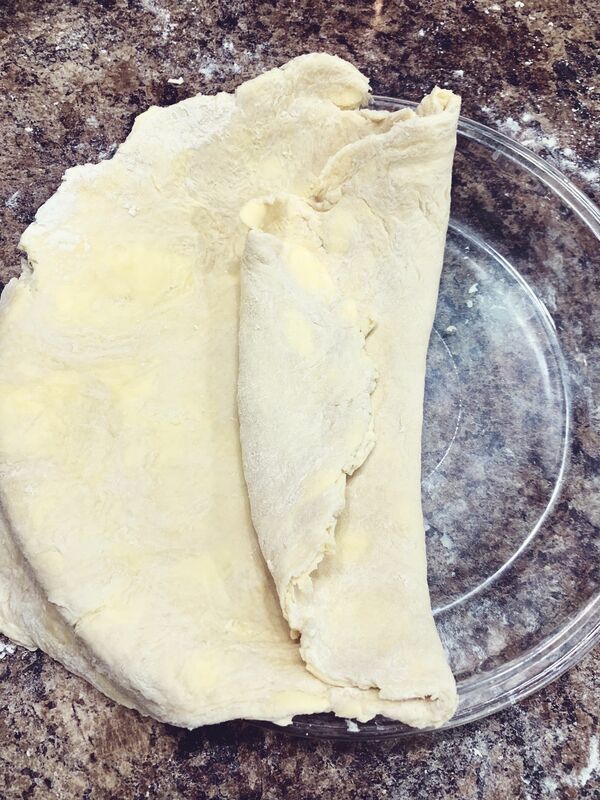 Step 7: Fold it in half , making it easier to move, and place it into your pie plate. 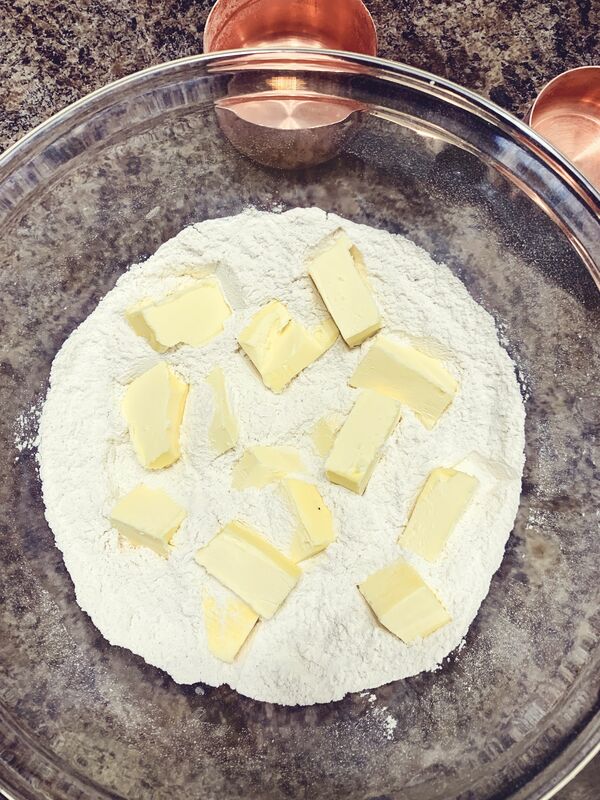 Step 8: Lastly, push the dough into the pans form and cut off any over hang bits with a knife. I use these pieces to add to any "shortages" around the edges that didn't stretch far enough. A bit of a puzzle sometimes - as you can see, it's not perfect...and it never is, but it's tasty and holds all the inside goodness together for you. 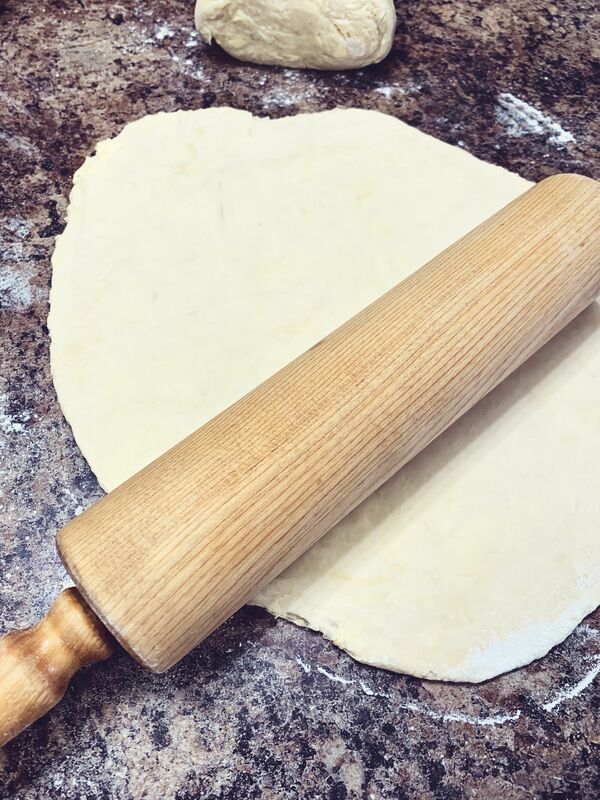 NOTE: The biggest thing to try and remember is to handle your dough as little as possible. The more you touch it and handle it the tougher it gets. So when mixing only handle it until it comes together. Only roll as much as you need and so on.